Showing results for tags 'balo'. Hi everyone! 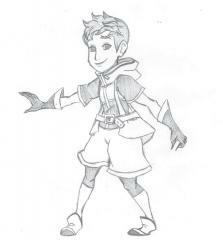 Just sharing my drawing of the Avatar I currently use in KHUX! I will be making a colored version as soon as I have time! Hope you like it! Zap!